of Derick and Nicole from Dancing With the Stars. 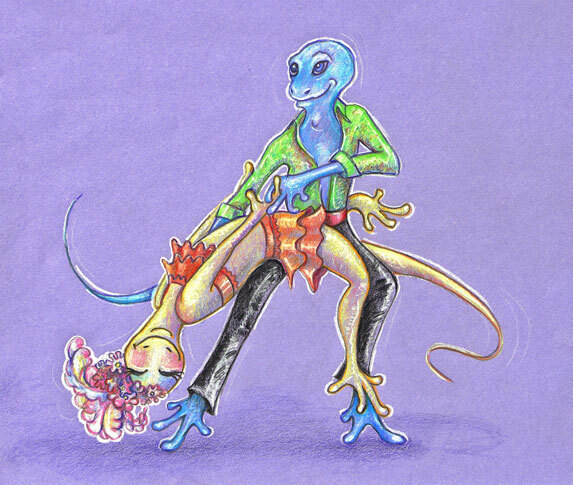 It was drawn with prismacolor pencils on blue paper. 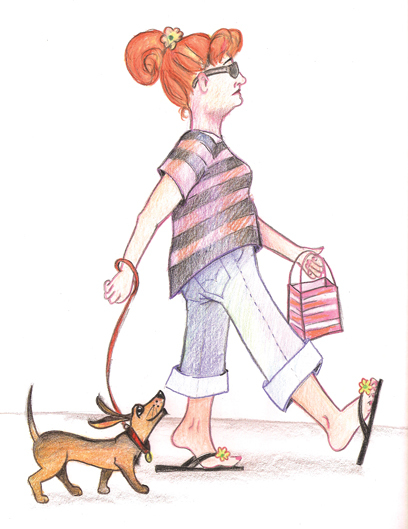 Woman walking her dog and shopping on 2nd Street in Belmont Shore, CA. Digital illustration made in Adobe Illustrator.